If you're like most Jeep owners, one of the main reasons that you got a Wrangler was so that you could make off-road travel a reality. There's just something about driving over dirt roads in a Jeep, and when doing so, it's important to protect your suspension and ensure that it's high enough to avoid problems. That's where a lift comes in. When you opt for a body lift, you're putting some distance in between your axles and your frame, allowing you to choose bigger tires that will give you all the power you need to get the job done. But is a lift right for everyone? The honest answer is no. While it's certainly a worthwhile addition to make in many cases, in some cases, a lift doesn't make a lot of sense. Before you make the purchase, here are a few things to consider about Jeep lift kits in IL! How Much Usage Will It Get? 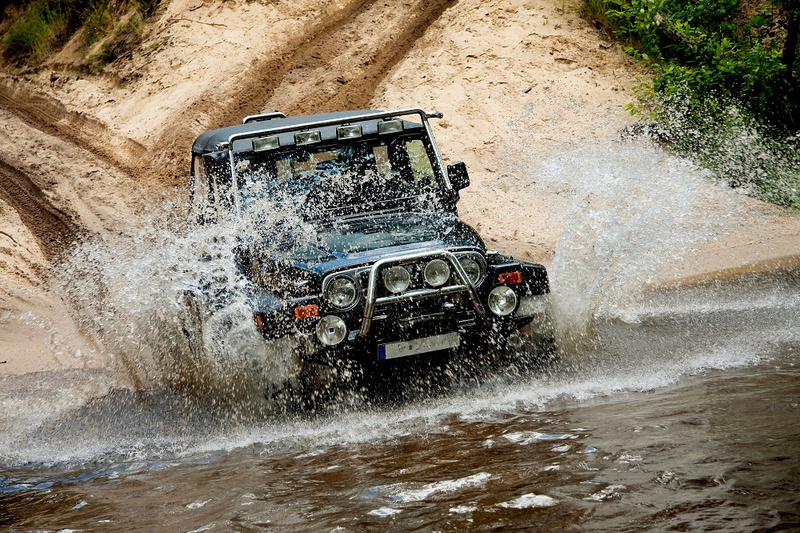 Here, you have to be honest with yourself and decide how much time you're going to spend on off-road activities. If you regularly engage in those kinds of activities now, you're going to continue to do so when you've got a vehicle that can handle the perils of going off the road. But if you're not the kind of person who seeks out off-road adventures, you aren't suddenly going to become one just because you have the ability to drive on dirt without damaging your vehicle. So what you need to do is honestly decide whether you're intending your lift to be for practical reasons or for aesthetics. If you're only interested in having a lift done because of how it's going to make your Wrangler look, then you don't need to worry much about the cost and can focus on getting the atmosphere that you want at the lowest price. However, if you plan to drive on a lot of dirt roads, you'll need a lift of a few inches to ensure that you've got proper space in place. Do I Have the Right Tires? Lifting your Jeep will require you to get some new tires in place to ensure that you're still gripping the road properly and have the right steering ability on any surface. If you're only doing a small lift, you might be able to get away with 33-inch tires, which are standard on most Jeeps. But if you'd like to go off-roading regularly, you'll need at least a set of 35-inch tires or even 37-inch tires, depending on the size of your lift. In either case, both will fill in the gaps well enough to allow you to have as much fun as you want when you go on your next off-road adventure. Do I Have The Budget? There's no way to avoid saying it: lifting a vehicle's suspension is not a cheap process. It will cost several hundred dollars to get your Jeep properly lifted, and if you can't afford it at the moment, it's best to wait a bit to build up some savings and then get the lift that you really want. Remember, you have plenty of time to enjoy your Jeep, and you'll enjoy it much more if you're a step ahead on your budget. Whether you're looking to do some fishing, hiking, or other outdoor pastime, lifting your Jeep is a great way to prepare it for those dirt roads at the end of your destination. If you've got the ability to afford a lift, one of the Jeep lift kits in IL is a great way to make your vehicle feel like yours!